One of my favourite things for breakfast is a yogurt and fruit bowl. I usually add some nuts and seeds as well. This is a great meal option rather than eating commercial cereal and milk. Most cereals contain a lot of sugar and additives so it’s best to steer clear of these choices. 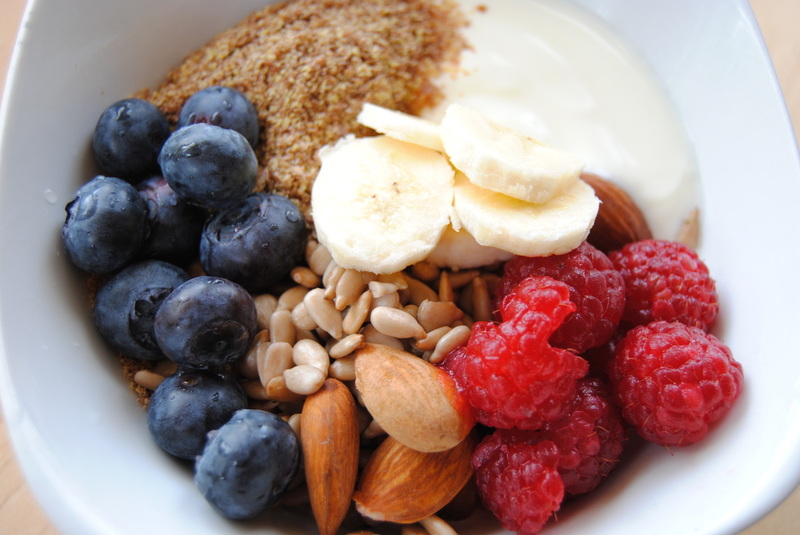 Adding flax seeds to your breakfast is a great way to get your daily dose of healthy fats. Flax seeds provide fibre and protein as well. The sunflower seeds and almonds in this meal will also give you energy for the rest of your day. If you soak your nuts and seeds in water for a few hours before consumption, it will help to increase their absorption rates in your body. Just like grains, nuts and seeds contain a protective coating called phytic acid. This phytic acid binds to minerals in the gastrointestinal tract such as calcium, zinc, magnesium and iron. Bound minerals generally can’t be absorbed in the intestine and can lead to mineral deficiencies. 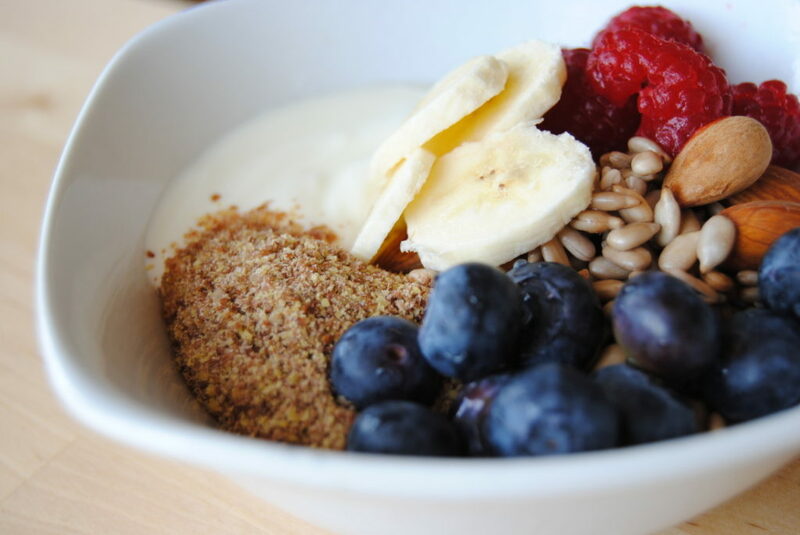 Make yourself a fruit and yogurt breakfast bowl today. It will give you the energy you need for your busy day!